“Smart Connected Farms” are no longer a great idea for the future, but a reality. The emergence of the Internet of Things (IoT) means farmers have access to more data than ever before, improving crop yields and overall operations. Gone are the days of estimation, as “smart connected” farm equipment can do everything from adjusting fertilizer output, optimizing plotted fields, and even analyzing the internal hydraulics of the asset for repair and maintenance. IoT provides critical information and helps connect people to things and process. 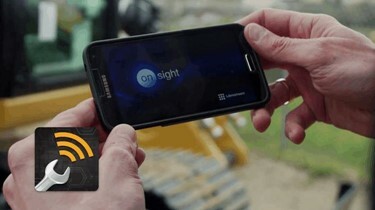 ‘Things’ such as tractors and combines contain sensors and software providing farmers with valuable information. In the case of Ziegler CAT, their “smart connected” offering includes everything from water management software, internal hydraulics monitoring systems, and auto steering. To augment their smart connected farm ecosystem, Ziegler CAT recently introduced a video-enabled service called Ziegler Onsight to visually connect the information from these ‘things’ to people for more accurate decision making. MORE FROM Librestream Technologies Inc.